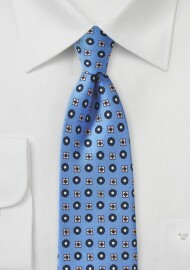 Your co-workers will be envious the moment they spot you wearing this handsome foulard print tie in rich Alaskan blue. The geometric print of circles and florals in pink, cream, and navy set the perfect contrast to this unusual bright blue background. 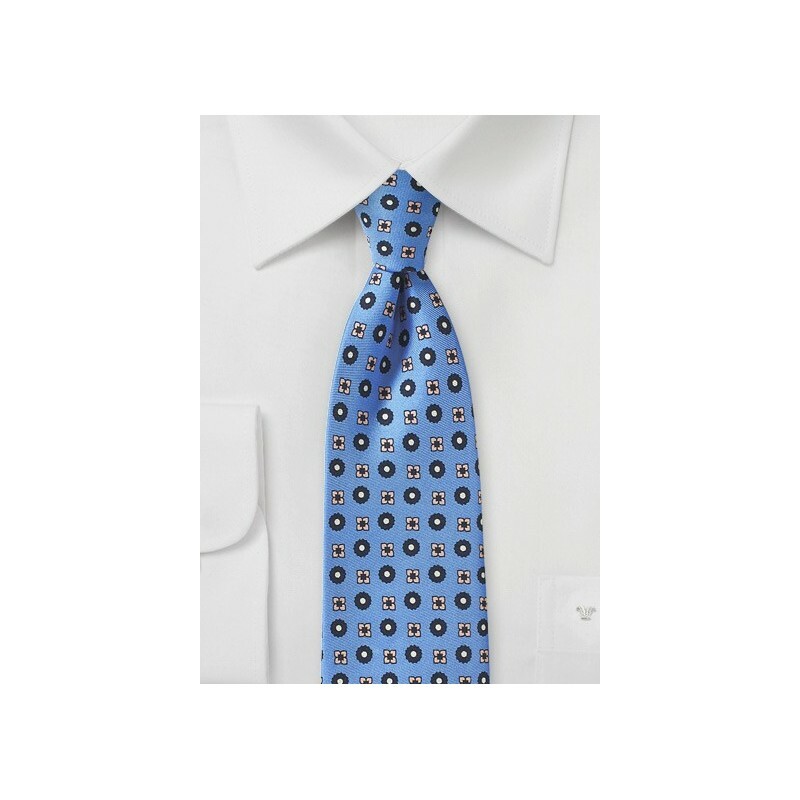 For best matches we suggest a s cream, light pink, or classic white dress shirt. Made from pure silk using silk screen prints.